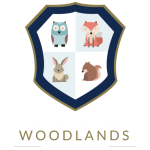 Westville’s Preparatory Department provides an outstanding opportunity for children to flourish. An innovative and exciting curriculum allows them to consolidate their strengths and discover new opportunities to excel. Academic challenges alongside enhanced opportunities for art, drama, music and sport inspire our children and channel their talents. As well as helping the Children gain admission to the schools of their choice, the Preparatory Department encourages intellectual curiosity, independent thought, oracy skills and effective learning habits. Positive values and high standards of behaviour are promoted and the children assume roles of responsibility, providing an opportunity to serve the Westville community. At Key Stage Two we build on the firm foundations of Pre-Prep and Key Stage One. As the curriculum broadens we draw upon the rich experience of our specialist teachers to challenge and inspire our children. As well as academic achievement, creativity is highly valued at Westville through Art, Drama and Music. Sport plays a large part in the school week, both competitively and at a less formal level with an emphasis on enjoyment, fitness and enhancing skills. A wide and varied programme of Clubs and Societies enriches the curriculum and ensures our children develop a range of talents. Children can still take full advantage of the ‘Wrap Round’ care in the Sunrise and Sunset groups, arriving from 7.45am with care right through until 6.00pm. Children enjoy the happy friendly environment and parents find it an enormous boost for homework to have been completed before returning home.